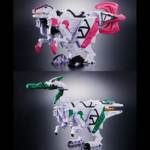 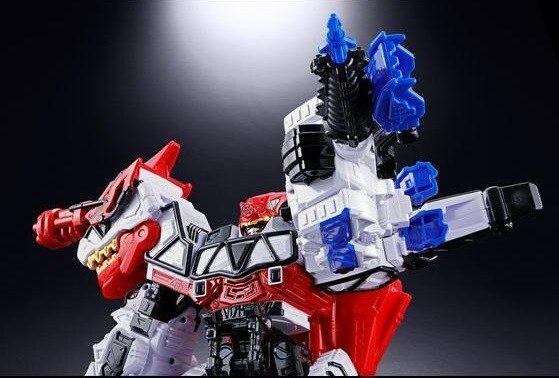 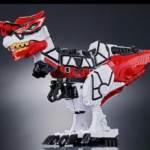 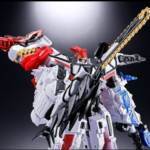 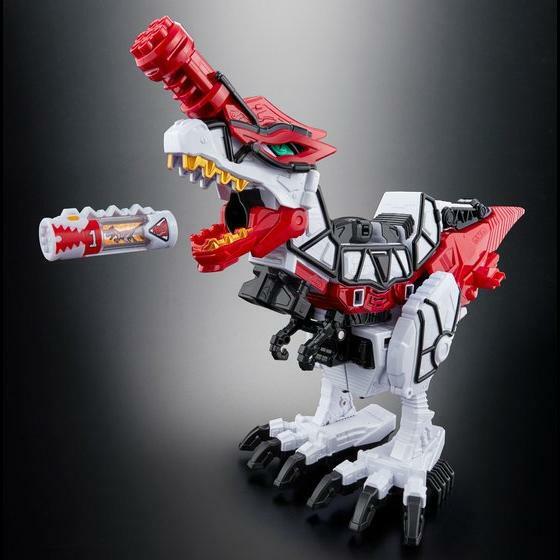 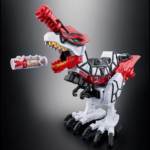 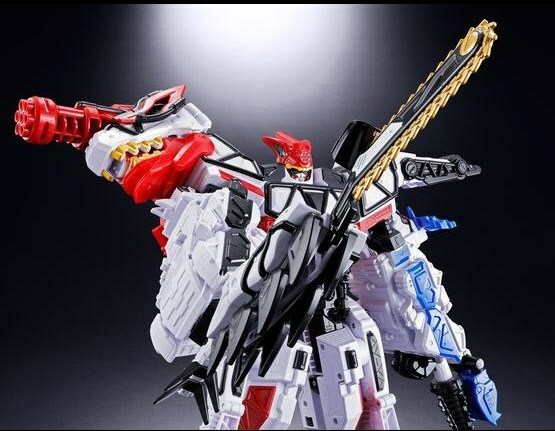 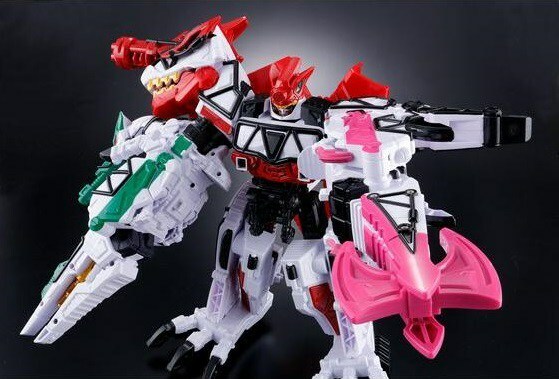 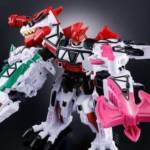 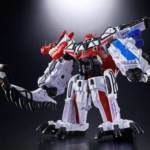 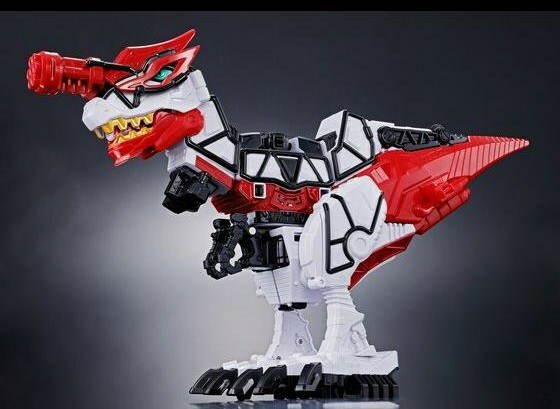 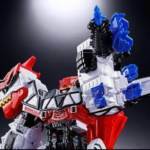 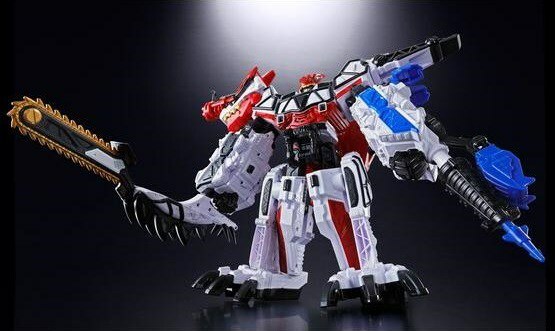 New details have emerged for the Japanese release of Power Rangers Dino Force Brave’s toy line, with Premium Bandai having updated the pre order page for the DX Kyoryujin Set. 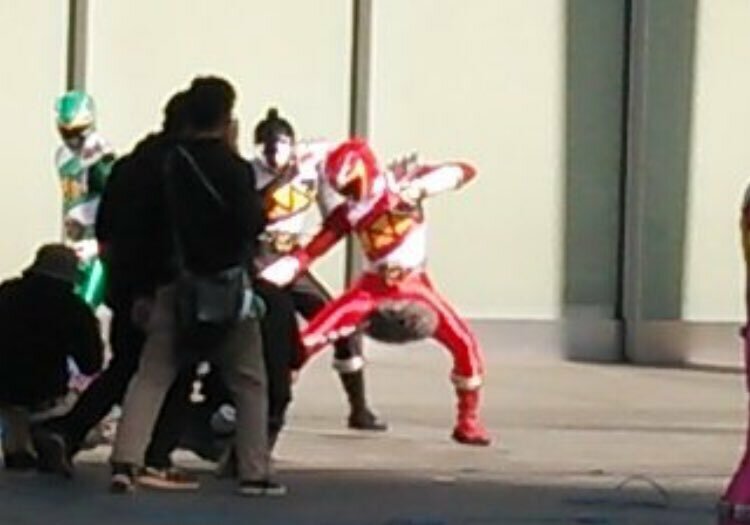 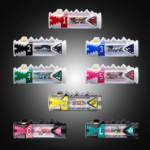 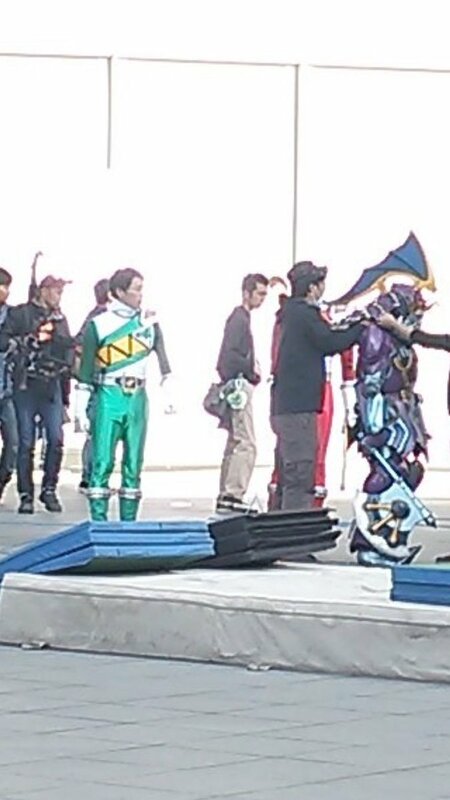 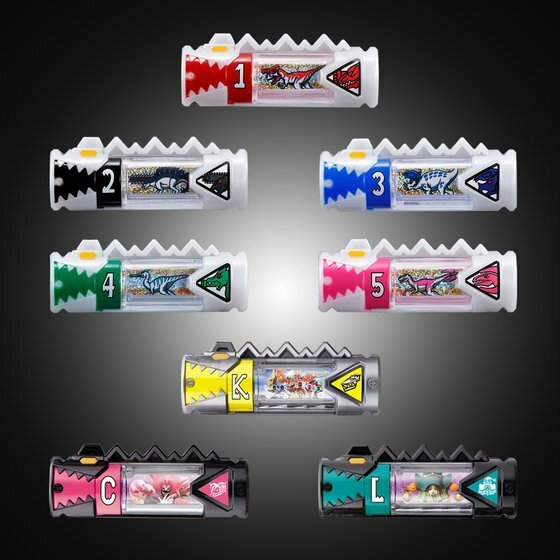 In addition, the set will have Zyudenchi for each of the corresponding dinos along with three new ones: the Candellia, Luckyuro, and Kyoryuger Batteries seen previously in scans. 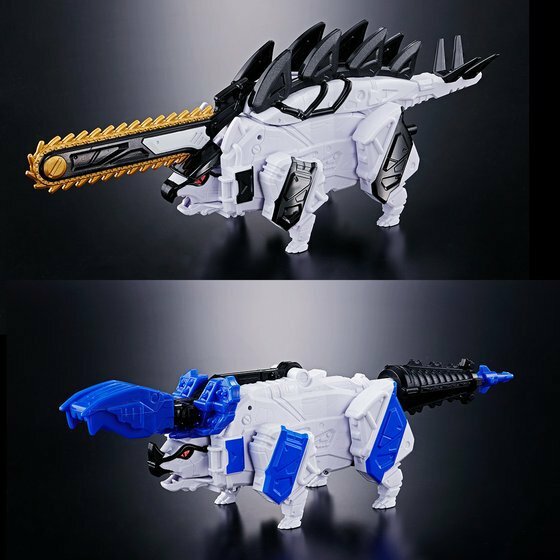 However, the set is expensive and will set you back 19,440 yen before middleman fees and shipping and will see release sometime this September 2017.